1. 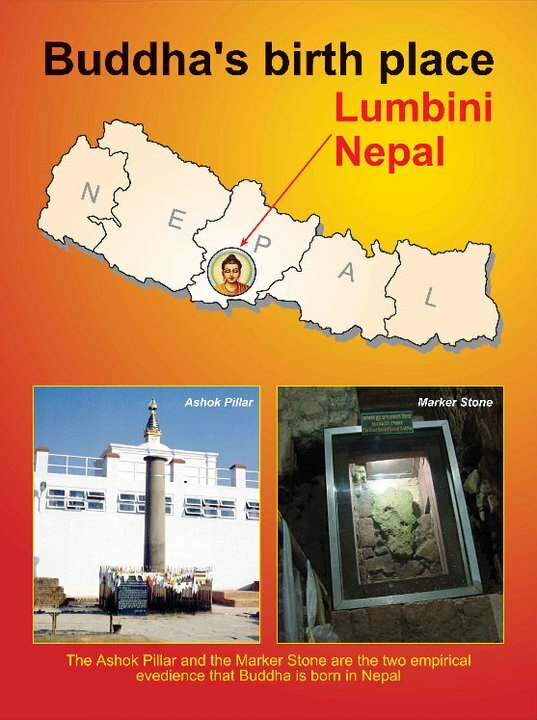 To celebrate Buddha (our Rastriya Bibhuti) Jayanti in one place by bringing together Nepali communities to spread Gautam Buddha’s message of “Peace & Harmony”. 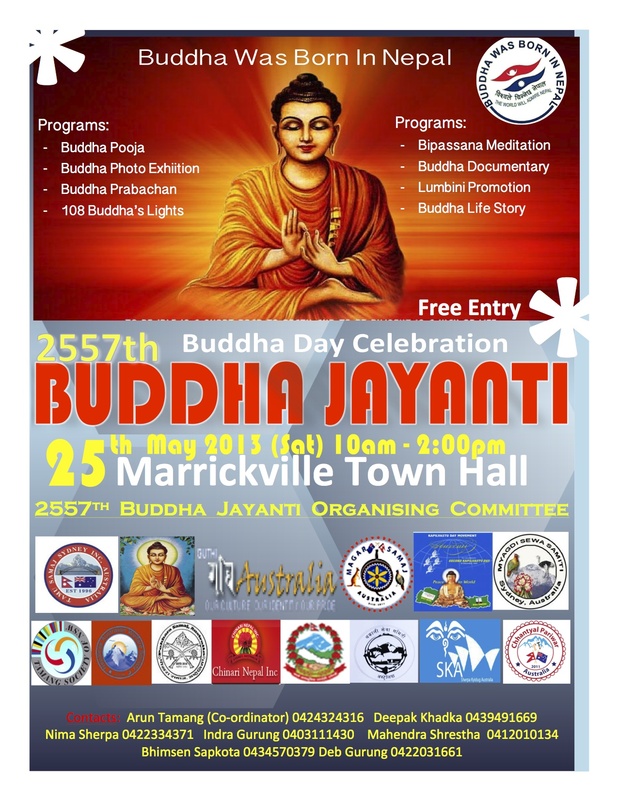 As we come to celebrate the 2557th Buddha Jayanti on the auspecious day, 25th of May 2013 (Sat) @ Marrickville Town Hall, on behalf of 2557th Buddha Jayanti Organising Committee we would like to invite and request your organisation’s participation in the event. 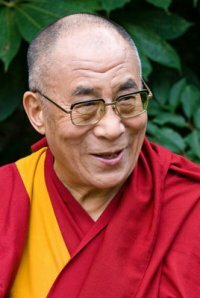 This event aims NOT to compete within us but bring us, Nepali communities, together to celebrate Buddha Jayanti in peace and harmony. This event is purely volunteer based so we would request a representative from your organisation to be included in the organising committee. We express our thank you in advance and await your confirmation of participation for the event. This entry was posted on May 13, 2013 at 11:45 pm	and is filed under News. 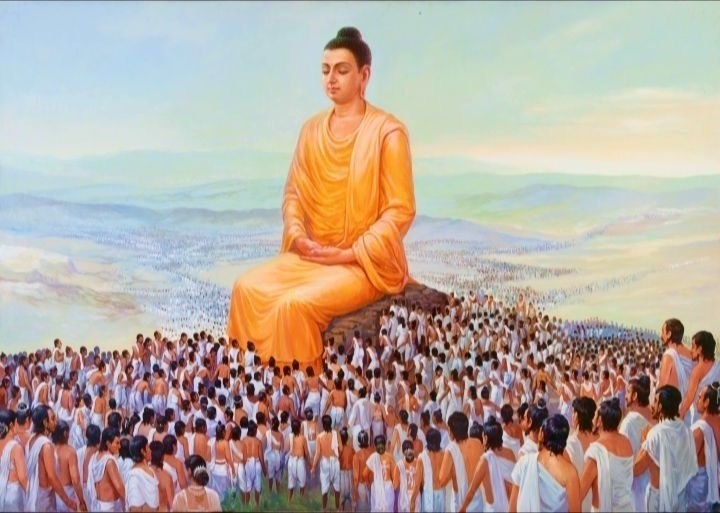 Tagged: 2557th Buddha Jayanti, Buddha Jayanti. You can follow any responses to this entry through the RSS 2.0 feed. You can leave a response, or trackback from your own site.